Gayle has served on the NCHC Board for the last four years. She is a REINS volunteer and has been an active member of the Davidson County Horseman’s Association for 13 years (also a charter member). She is also a member of and has worked with the Triad Horsemen’s Association, Cowboys for Christ, Charities 4 Children, and Carolina Rangers Cowboy Mounted Shooting. She is employed with Davidson County Tourism, TRIP. She has been a member of Center United Methodist Church in Welcome, NC for her entire life. Gayle and her husband Klynt have been married for 39 years. They have bred and raised Appaloosas on their small farm in the Reedy Creek Community in Davidson County. They have enjoyed devoting time to help further and educate the equine community in N.C. as they traveled to and participated in clinics, horse shows, expos and numerous equine organization meetings. Trail riding, barrel racing, team penning, horse shows and mounted shooting have been activities they have enjoyed with their horses. Their two sons have ridden in their younger years. Now, the Nifongs are introducing their three grandchildren to the sport! 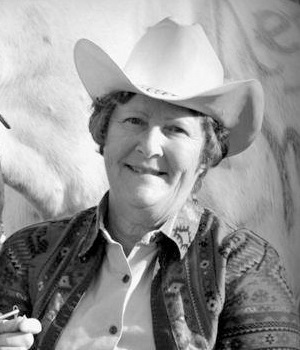 Her main interest in serving the NCHC is to inform and educate the equine community in North Carolina.